I was lucky enough to follow England (and others) at the 2010 World Cup in South Africa along with my Dad and brothers. I watched 10 games including the infamous match where we knocked out to Germany in the round 16 match in Bloemfontein and enduring the 1250 mile round road trip to the game from Cape Town! I was very privilaged to have been able to go out to South Africa and wanted to give something back to a local community. 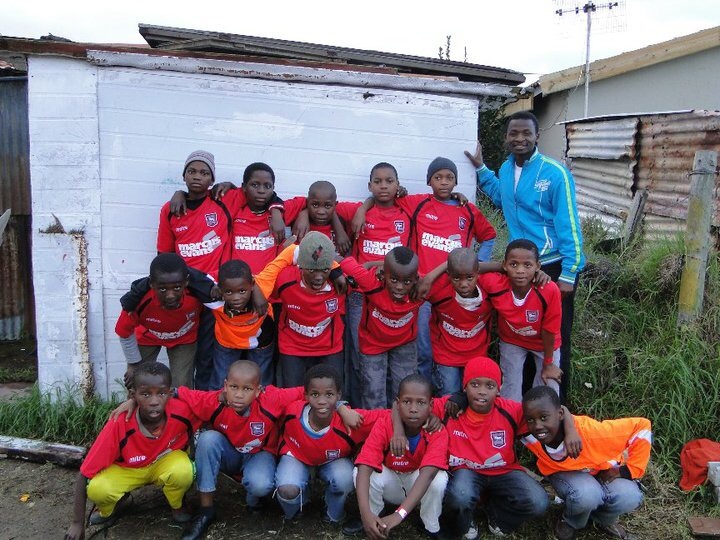 The picture I have submitted shows a local team from the Masiphumelele township on the Cape Peninsula south of Cape Town. We took out a strip from our local team, Ipswich Town Football club and donated it to the club for the boys to wear. A very humbling experience.